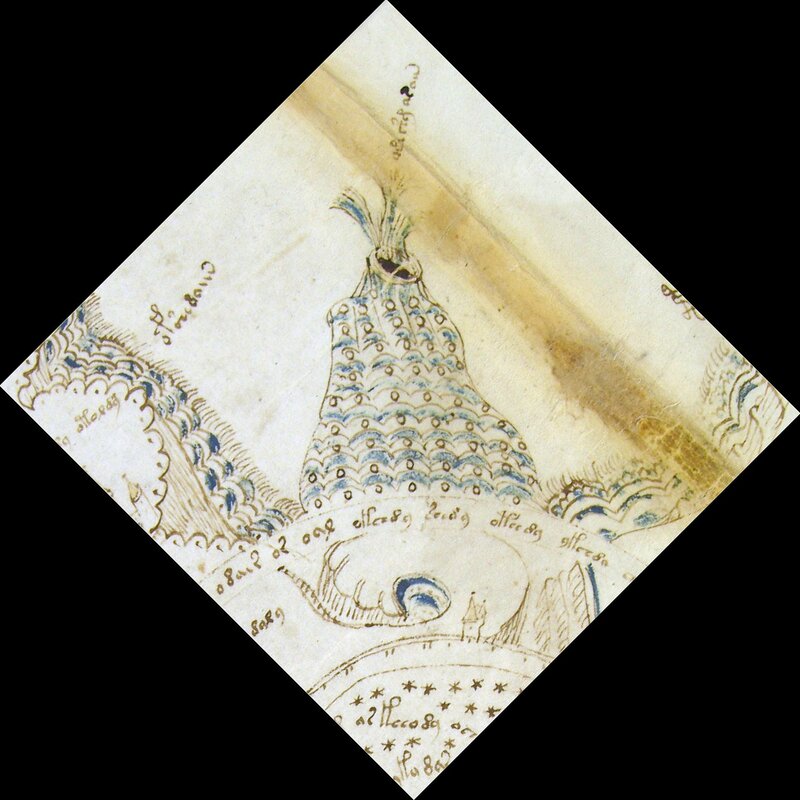 A Volcano in the Voynich? The best way find answers to a tough problem is to ask the right questions, and the right ones are usually new ones. Asking the same old questions, over and over, will get one nowhere, because they usually produce the same answers. In the case of the Voynich, there must be thousands, if not millions, of good questions that have so far gone unasked. In the answers to those questions may be the golden nuggets which bring us closer to the answers we hope for. About a year ago, Tim Tattrie asked one of those good questions, and got a very interesting, and potentially valuable, answer. He was peering at the Rosettes foldout, as thousands had before him. But Tim wondered what the rest of the mountain, the one in the upper right rosette, might be. He did not assume what it was, he wanted to know. So he wrote the Beinecke staff, and asked them if they would open the fold a bit, and take a picture. Graham Sherriff of the Yale staff quickly sent him the picture. At the time he was told that the new pictures would be included in the online database, but a year or more went by, and they did not get around to it. 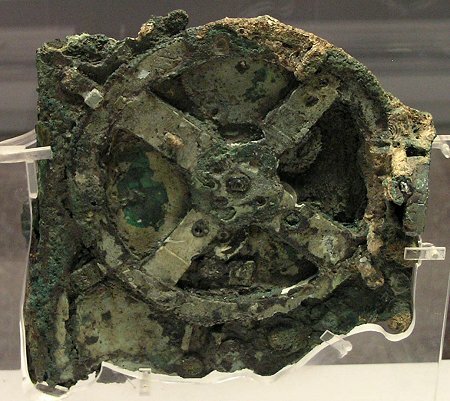 So Tim asked me to announce the find, as he felt it might be of value and interest to others. I agree. 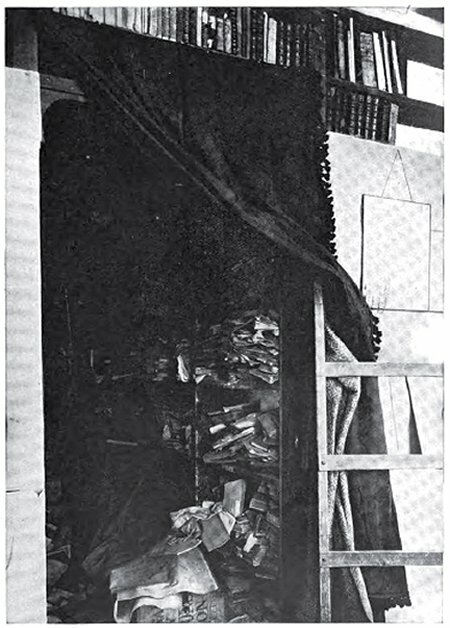 As you can see, much was revealed “under the fold” of this area. Not only did the mountain reveal that it may, in fact, be a volcano, but also, the ramp like area leading up from the walled-city now shows a few more buildings. I wish I had this when I made my 3D rosettes… and in fact I may add the “volcano”, and found buildings, in a new version. Well of course this may not be a volcano. Tim is pragmatic about it, and does not commit to that as an absolute identity. I don’t either, as it could be many things. The Voynich does have various pipes which also seem to “spew” various substances. Are they, and this, meant to be gas? Air? Water? The quintessence? Perhaps this is meant to be a natural fountain, or Artesian well. And the effluent is not red or “fiery” in any way… it is blue, like water. But I have to say that it looks a lot like a volcano to me. One could also assume that this is not meant to be a mountain at all, and that is lies flat, like a drain and so on. I don’t think so. It is illustrated much like the other heights of the rosettes page, and the intent seems to be implying a hill or mountain. The reader is welcome to disagree, of course. What is that effluent, then? Of course like many new discoveries in the Voynich, answered by these new questions, this one raises even newer questions. That is all good, I think. And also, when we see this new information, we might have a sense that it tells us something important, in its own right… but frustratingly, we are not sure “what” it is that it tells us! For me, I will not miss the opportunity to point out a couple of implications. For one thing, I note that there have been several real places suggested for the upper right rosette. One of these has been Milan. I think that the discovery of this spewing mountain, probably a volcano, might warrant a re-consideration of most of of the previous speculation of this rosette as various places. If one is going to think of the rosettes as a real place at all, in fact… an idea I wholeheartedly reject, as I think it is a fantasy land.. but if they are going to look at the castles, walkways and towers as real, then one must now look for a place which includes a spewing mountain, or volcano. And if one looks for such a fountain, it better be on a towering mount. And good luck with that. 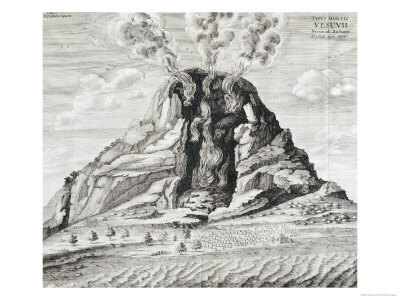 Kircher's Volcano from "Mundus Suberraneus"
But what might be valuable is to look at the history of volcanology, and also, how volcanoes have been perceived in mythology and fiction. Knowing what volcanoes meant to people, at different times in history, and how they have been illustrated, and for what purpose, will all be potentially valuable to understanding the Rosettes in a new light. I personally feel that Tim Tattrie’s find is a very important one, not only for the actual illustration which was uncovered in this one case, but for what it tells us we must do in the future… that we can’t keep asking the same old questions, but we have to try to look for new questions, asked in new ways. I am certain that many other surprises await us if we do. This post is not about whether or not the Voynich Manuscript is from 1420, 1550, 1610 or 1912. It is about just how crazy it is that we simply cannot say for certain. And just how difficult a situation this is, is demonstrated by the curious root on f27v, which I have dubbed “the puzzle piece”. This root looks nothing like a root, or any part of a plant. What it does is look all the world like a piece of a jigsaw puzzle… the locking kind, with all it’s bulbous legs, and it’s flat surface punctuated by an attempt at three-dimensional thickness by the author. Whatever this root is supposed to look like, it is not supposed to be a root, that is clear. The artist went through the trouble of giving it thickness, and actually a pretty non-organic and uniform thickness… just like it was cut out of some flat material with some sort of… well, you get it. But I thought, if this was meant to be a jigsaw puzzle piece, then what would that imply about the dating and meaning of the Voynich Manuscript? So I looked up the history of the jigsaw, and contacted a couple of experts in the puzzle field. “The image is quite striking. If you took away the shading under the thick line (which seems to give it thickness) it would not look nearly as much like a puzzle piece. 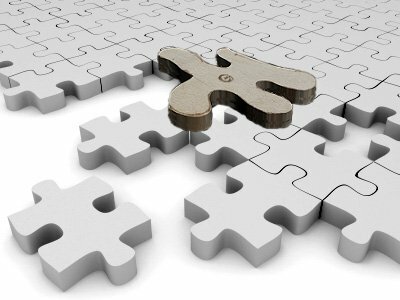 “Your question really has two parts: 1) when did similar shapes appear in jigsaw puzzles? and 2) when did artists begin to think of such a shape as representing a piece of a puzzle? And so of course the answer is that if this were meant to evoke a jigsaw puzzle piece, it would could really only mean it was put there after 1860, and the only reasonable explanation as to “why?” it was there would be that the manuscript was a Wilfred Voynich hoax. Of course that is easy to dismiss, on the surface, because of all the mountains one would need to climb before arriving, reputation tattered, at the Wilfred Hoax Theory. I’m not there, and I’m not going there… really, I’m not. But I like to ask questions and explore ideas, and so do you if you read this far. You see the problem as I see it is not as much that a root appears as a post-1860 object, but much more so what that object happens to be. This root does not look like a car key, or a cigarette lighter, or any endless number of objects which we would casually dismiss as a coincidence, but this happens to look an awful lot like a post-1860 object which is the best iconic representation of a mystery! “[perhaps] Wilfrid Voynich had created a hoax… either for profit, or to “thumb his nose” at the literary scholarly establishment, which he had to deal with often. He needed to validate his works, and their opinion would of course determine the authenticity, and then value, of his collections. Perhaps he wanted to teach them a lesson of sorts, to play a trick on them. Of course if he did this, he would never be able to reveal what he had done. It would have de-legitimized him and his business, and this is an argument against his doing so. Well of course I have introduced a far-out idea here, and one which I don’t take entirely seriously. I just like to explore various observations, and wonder at the implications they might suggest. At the same time, as I pointed out, it is amazing that other than a brief dismissal of “that’s improbable”, or even, “that’s nuts”, such suggestions cannot be dismissed with facts, or any certainty. So while an idea like this one might, at first blush, seem out of the question, it cannot be said to be impossible, given what little we know. And that is the point. It is still true that many still see in the Voynich Manuscript the influences of so much of literary history, and tantalizing images seemingly drawn from a wide range of cultures, sciences, religions. And again, this book really looks very different from all of them, in every little detail. A person with the materials, means, knowledge, and monetary motive, all of which Wilfrid arguably possessed, could have done it. And maybe he is simply having a good laugh at all of us, for all these decades. Perhaps the puzzle root was Wilfrid Voynich’s gift to us… to help us out of this vicious mess, but we are just too clever to take it. Bird Glyphs, Aztecs, Aries, Hakluyt et al. The so called “bird glyphs” from the Voynich Manuscripts f1r are typical of those details which seem to cry out “THIS is what I am!”, while not actually helping one bit in that direction. There is just enough to give the impression of obviousness, and just not enough to remain infuriatingly distant. I had thought that these may be meant to be the Phoenix, both flying and burning, when I first studied them. I’m not so sure now, thanks to the Aztecs. 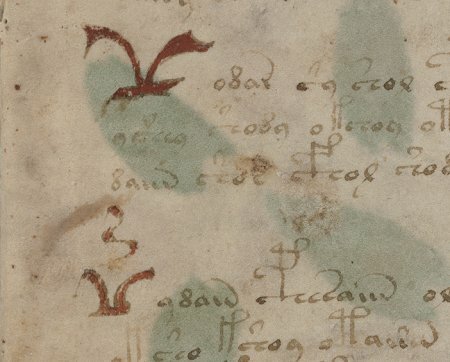 Voynich f1r "bird" glyphs, or "weirdos"
But first, some other thoughts on these “weirdos”. They have been compared to the Aries sign, as found in a possibly lost manuscript, the Codex Taurinensis. As you can see if you click on that link, this is a very close comparison… in form, if not in context. Recently, P. Han has found a similar symbols on a 1208 Arabian Astrolabe. They are also close in appearance, although when blown up I do think that they are possibly formed of two “C’s”, back to back. I think there have been other, non-Aztec comparisons found, none of which I found very intriguing. 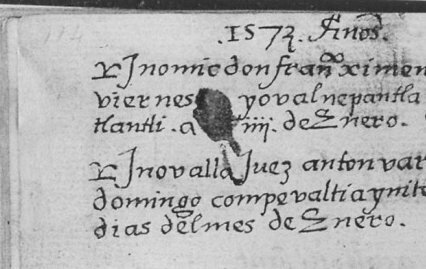 However, from Knox’s page, which muses on these glyphs, I was directed to the Codex Mendoza and the Codex Aubin. The striking thing about these, in my opinion, is that the very similar glyphs are used in the same context and position as in the Voynich… that is, as a paragraph header. Compare to the the Codex Mendoza, shown below, they are not only in the same position, but note that they are also on the first folio. The Aries comparison is very close, but the placement is different. First I think we might assume that the use by the Aztecs is a different one… as a paragraph header and not a sign of the zodiac. Would I be correct in that assumption? I see that no one is clear on how it is used when in these codices, in this way. Anyway, if one has to choose between the two uses, as a header or as Aries, I would consider that it’s placement would be the best indicator, and I would go with header. There are some points I would like to make about these documents, and these glyphs. 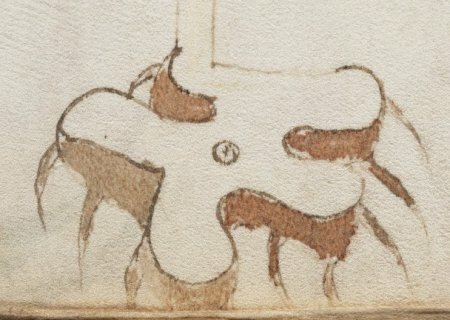 First of all, the comparison to the Voynich f1r glyph is really startling. Also the context, as I pointed out, is identical: They are in the left margin of text, seemingly either to mark the text, or to illustrate some thought in the text… I don’t think this is known for certain. 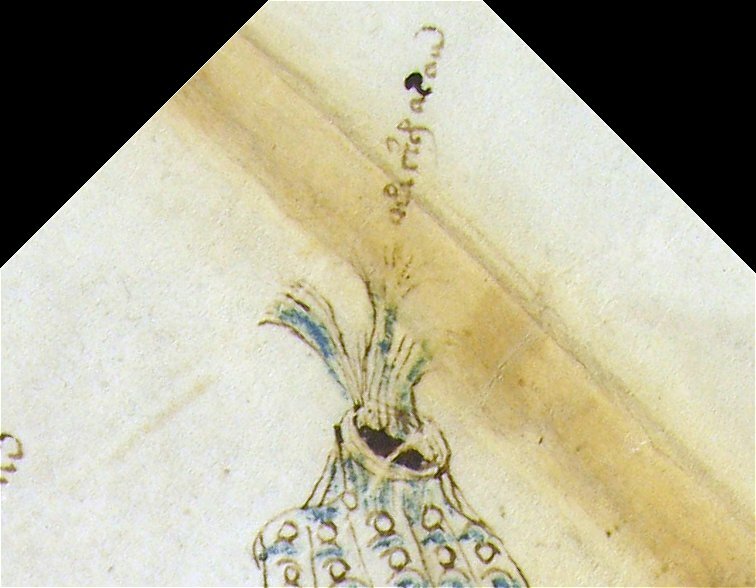 I would say that, in my personal opinion, it is not at all unreasonable to think that there is a possibility that the Voynich author was aware of this use, of these glyphs, and chose to use them on Voynich f1r. Secondly, I have stated that although I do accept that the Carbon-14 dating makes my original New Atlantis theory unlikely, I also still have felt that the Voynich is post-Columbian. In my opinion, the f85v animal is an armadillo. I also have continued to sense there are other New World influences in the Voynich- indirect and inaccurate, as might be expected if the document were influenced by, but not specifically copying, many styles and items from a wide range of existing documents and their described disciplines. And another important point is that they are exceedingly rare. There are very few similar examples of this symbol, and as a paragraph header, only the Aztec Codices. So at the risk of threatening the temper of my “True Steeled Sword”, I point out another interesting connection. 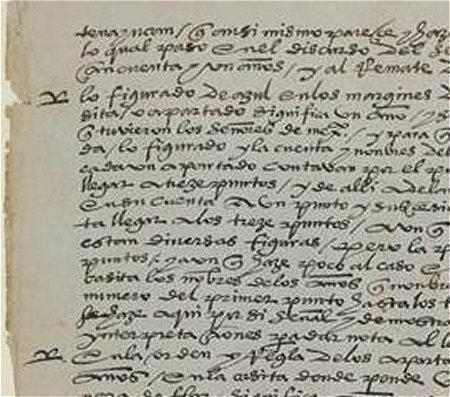 When I was first reading the history of the Codex Mendoza, I went through several stages. First I saw that it was created under the orders of the Spanish, by the Aztec scribes, in order to explain the culture of the Aztecs to the Spanish, and possibly King Philip. And it was obvious that there was no direct connection with my old New Atlantis theory. And a few sentences later, I saw it was captured by French pirates… and thought “Oh no!”, and swear I said, “I just hope it didn’t end up in Britain”. You see, I don’t want to be tempted into finding any connections with my theory, as it is externally and internally suppressed. 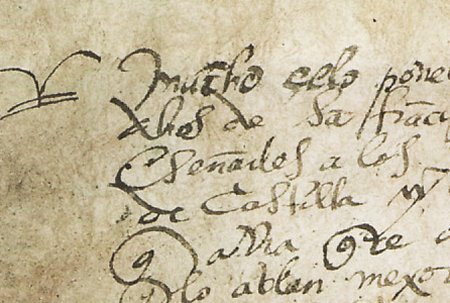 But my worst fears were realized when I read down, and it turned out that one Richard Hakluyt actually owned the Codex Mendoza. Why would that matter? He was an early explorer, promoting the British settling of the New World, along with Harriot, Raleigh, Francis Bacon, Strachey and so on. In other words, the very document with this very rare bird-glyph-as-paragraph-marker was actually in the hands of one of the prime influences on the literature, mythology and lore of the New World, which in turn inspired Shakespeare’s Tempest, and Francis Bacon’s New Atlantis. That is a well-stated point of course. 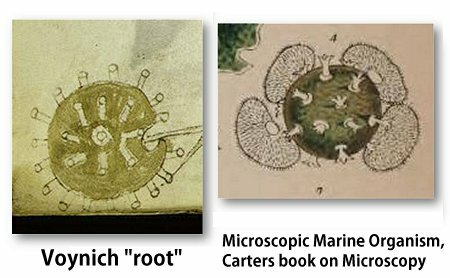 But imagine the profound irony, to me and my theory, that both the Voynich and the New Atlantis are discussed on the same page of a 1666 letter to Kircher, when I had theorized, pre-C14, that they were in fact related. The two books are not linked in this letter. But what are the odds of them even being mentioned together? Out of all the tens of thousands of books and writings Kinner could have discussed? Are there implications in them being together, so early? 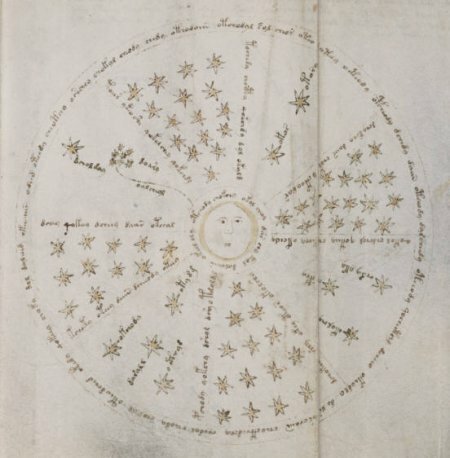 For one thing, perhaps the nature of the Voynich Ms., and the nature of the New Atlantis seemed related to him, and so, without saying so (but because of this, “on his mind”) he included both. But conversely, the fact that he did include both, and yet did not openly link the two, seems to suggest that he did not see any connection at all. How does this relate to my having suspected a connection between his two books of interest, and his author, 400 years later? I don’t know. I do consider it a coincidence, and somehow worthy of note. For one thing, it certainly shows just how both tempting and disarming coincidence can be. …That is how I often think of the Voynich Manuscript. On the one hand it has reminded countless people of many different styles from every age of every corner of the earth… while at the same time, it is almost universally noted to be too little like any one thing to “be” any of them. And I think this “being so similar to so much” is an important clue in itself, our most important clue even, and also, the clue most often missed or ignored. I was recently interviewed for a documentary segment on the Voynich (not the ORF), and I made this point. Unfortunately the interview did not make it into the final production, which I think is indicative of the problem in identifying, or maybe in my explaining, the point I am trying to make. It is difficult to define a nebulous concept such as this, and certainly not to an audience unfamiliar with the Voynich. Characters: Just a bit different than anything. I will try this way: Try to imagine just how impossibly difficult it would be for something to accidentally be so close to so many things, with so many individual elements similar to many other, varied and common elements… while each one of those elements, when every one of the little bitty parts and pieces is off “just enough” to not be the thing it most looks like? That may happen a few times in other works, and of course has and does… because it is unavoidable, on occasion. But to get every minute aspect of such a lengthy and complex work such as the Voynich this “wrong”, this “different”, on every level of minute detail? I mean, it would not… could not… happen by accident… I sense the odds would be astronomical for this effect to have happened by chance or error. I feel it must be intentional. And by “intentional”, I mean that the author wanted the work as a whole, by seeing to this level of mismatch on every detail, to not evoke any real time, or author, or area, or culture, or language, and so on. And then, we would ask, why? Of course I have proposed, and still propose, fantasy… either a fantasy document in it’s own right, or one reflecting an existing mythology… possibly one unknown or forgotten. Plants: Just a bit off each time. Added up, all these myriad of these similarities, so close and yet so far, are staggering in number. And again, I propose, to accidentally miss on thousands of individual elements, over 200 plus pages of text, without giving away one concrete connection to anything real… this, in my opinion, would be almost impossible to have happened by chance, and must have been intentional, and therefore is our biggest clue… a clue never followed. Instead, effort is put into finding a real connection, endlessly, as it has for a hundred years. 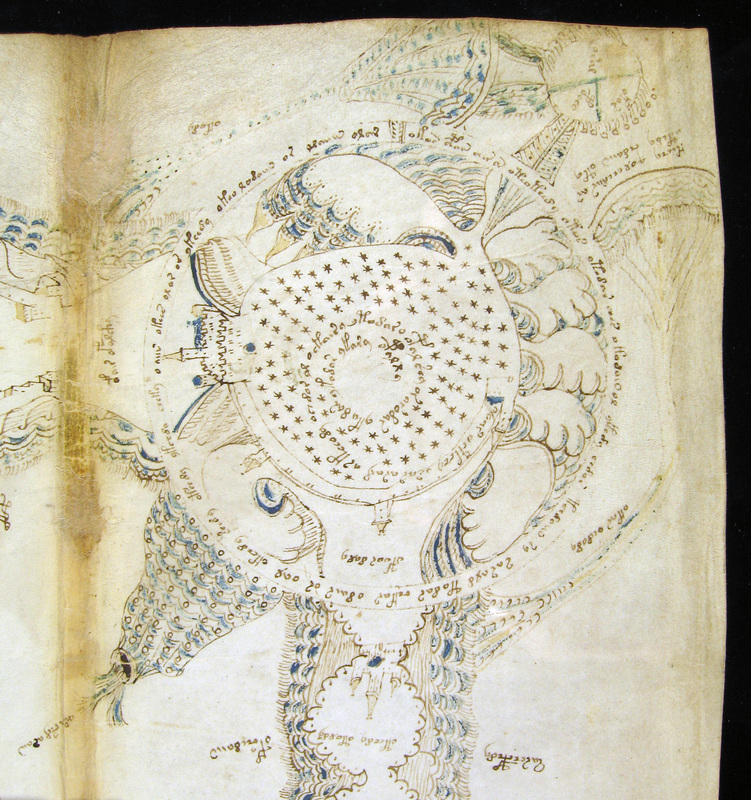 Even though history is ripe with fantasy and mythology, from Gilgamesh to Prestor John; from old Atlantis to New Atlantis; in music, poetry, plays, and literature, the idea that the Voynich represents a fantasy of some sort is scoffed at repeatedly. And fantasy and mythology such as El Dorado, or the Fountain of Youth have driven the quest for real discoveries, such as the New World, and new routes to the East. Fiction is a major factor in our world history, and has driven the imagination of millions to real achievements in the sciences and discovery. And yet, the whole realm of fiction is seldom turned to, the idea of fantasy and mythologies are discarded and ignored, when looking at the one document which continues to defy a solid connection to anything real. I find that bafflingly ironic. Known Astrology? Very close, but no cigar. I was also told once that fantasy, as an outcome for the Voynich, would be boring. Perhaps many share this view, and it has dissuaded others from entering this area of research. Also, and possibly connected, is that many investigators would feel cheated if the Voynich were based on fantasy… as if to find and answer which turned out to be poetic rather than pragmatic, would somehow rob the seeker of a valuable, interesting, useful, or valid outcome. I disagree entirely. Whether based on a real discipline, or mythology, the Voynich would continue to excite. Think of finding a lost book of Homer… or a play by Euripides… or think of a new real find of a fantasy or religious document we did not even know existed, such as Gilgamesh. Are these boring concepts? The lost plays of Shakepeare? A forgotten, dead religion? A secret cult? Boring? 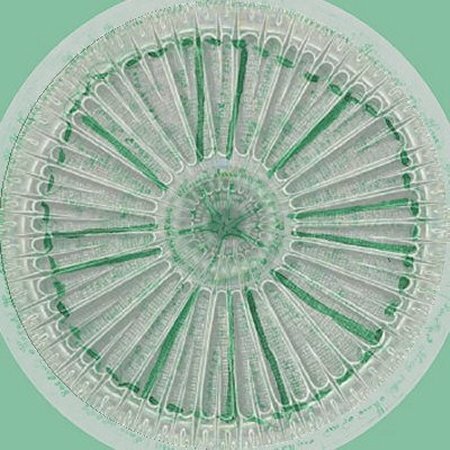 If the Voynich turns out to reflect a fiction, as I still strongly believe it does, I feel it will be one of the most exciting outcomes of all… and, I feel, it is the most probable possibility, and ironically, the most ignored. But who would use Vellum, anyway? The choice of vellum for all the pages of the Voynich has been seen as a clue for the dating, origins and purpose of the book. The cost of vellum, and the era of common usage of the material, have been a major factor in the currently most accepted dating of the manuscript between about 1420 and 1460. Certainly by the mid 16th century vellum went out of favor, as it was easier and cheaper to print on paper… which was less expensive and more available as time went on. By the early 17th century, the time of my theory, the use of vellum as the pages of books was very uncommon. But for various reasons, it is not outlandish to consider it would have been used in this case, if considering the people and motivations found in my circle of influence, and the evidence we do have for it’s remaining use, availability, and the reasonable value these uses implied. The book gives other examples, showing that for two to eight shillings one could obtain a dozen vellum skins, certainly more than enough to make a Voynich. But let us assume, as some have suggested, that by my time frame of 1610 to 1620, vellum would have equalled the “cost of a small farm”. I won’t go into the relative values of farms in the appropriate centuries, let’s just assume it was “that” expensive. This actually favors my theory, for this reason: Comparing the relative suggested uses, as an herbal, as a pharma, as a hoax, or my theory, as an artifact of the literature of Bacon, I think that cost would actually be less of a factor in my case. This, because the circle of Francis Bacon, and Bacon himself, was quite used to spending inordinate amounts of money on very elaborate productions and celebrations. A masque for James I and Queen Anne, for instance, would have props and costumes designed by Inigo Jones, with single dresses costing more than 1,000 pounds. The wedding celebrations of Princess Elizabeth are said to have cost over 40,000 pounds. For someone in this group, at this time, to have created the Voynich, even if expensive, would not be so unusual. The album amicorum, friendship albums, were sometimes made on vellum. …and it was of course, used as a binding and cover for almost all printed books, and for many legal documents such as deeds and writs. 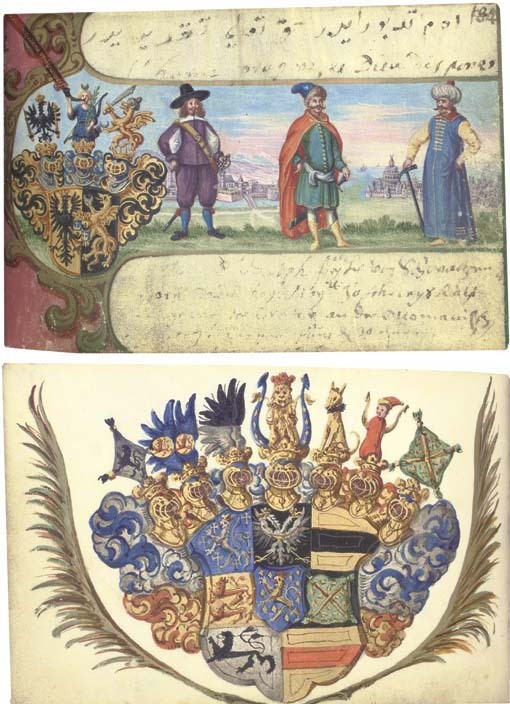 Maier’s presentation to Henry, who died before he could receive it, was similar, and also on parchment. So here we have a large, 33 by 24 inch parchment, with painted illustrations and writing on it. The size alone would be enough to create approximately 12 leaves of the Voynich… that is, 10 percent. And Maier’s two cards would equal 20 percent of the vellum needed to create “a Voynich”. Clearly this vellum was available to Maier, used by Maier, and not prohibitively expensive. One other very curious and interesting example is this political parody from 1603. Which includes both mythological and real figures, which by folding, could be assembled in different ways. The use of vellum, therefore, was common, the cost of vellum, reasonable, the painting on vellum, frequent, in the early 17th century. It was used in greeting cards, the arts, in law, in binding. And as previously pointed out, optical devices were wrapped in it. Considering this, I do not personally consider cost and availability of vellum to be a factor against the Voynich having been created during the time frame I propose, nor by someone from the circle I suggest may have been responsible. Prop, Hoax, Tribute or Art? Prop books from stage (…and film, much later of course! ), used to lend reality to a performance. Hoax books meant to cheat someone for profit in some way, or simply play a trick. Art books, representing no literature, created for their own beauty. . This list of purposes may differ from the Wikipedia definition of “fictional books”, which do not actually need to exist. 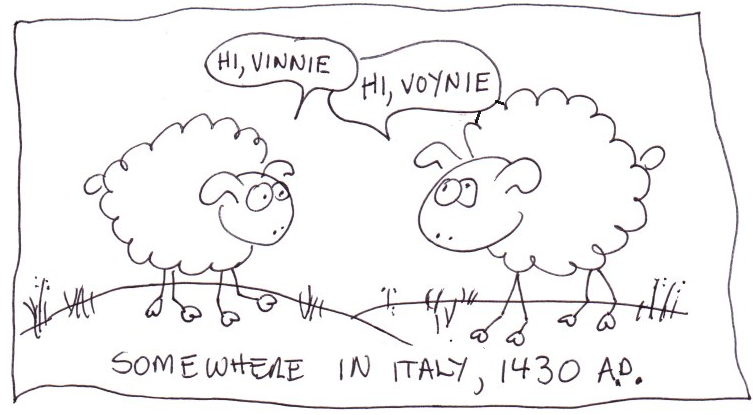 Obviously, the Voynich exists. Perhaps it’s purpose may cross into the “False Documents” category, as explained, “A false document is a form of verisimilitude that attempts to create a sense of authenticity beyond the normal and expected suspension of disbelief for a work of art. The goal of a false document is to fool an audience into thinking that what is being presented is actually a fact…” . FAUSTUS. Now would I have a book where I might see all characters and planets of the heavens, that I might know their motions and dispositions. FAUSTUS. Nay, let me have one book more,–and then I have done,– wherein I might see all plants, herbs, and trees, that grow upon the earth. ROBIN. O, this is admirable! here I ha’ stolen one of Doctor Faustus’ conjuring-books, and, i’faith, I mean to search some circles for my own use. Now will I make all the maidens in our parish dance at my pleasure, stark naked, before me; and so by that means I shall see more than e’er I felt or saw yet. So it is clear that the play required prop books of some kind. We do not know what these books were like, of course. But if they were created accurately, one or more would certainly have contained mysterious and arcane images of “…all characters and planets of the heavens…”, their “…motions”. They may have contained the prop-maker’s interpretive illustrations of “…all plants, herbs, and trees, that grow upon the earth…”. MAM. Of the philosopher’s stone, and in High Dutch. SUR. Did Adam write, sir, in High Dutch? MAM. ‘Tis like your Irish wood, ‘Gainst cob-webs. I have a piece of Jason’s fleece, too, Which was no other than a book of alchemy, Writ in large sheep-skin, a good fat ram-vellum. The above seems to indicate that Jonson, well versed in Greek mythology, was an adherent of Palaephatus’s argument that the Golden Fleece represented a book of alchemy. I would also make note of the fact that the character of the alchemist, Subtle, is believed based on Cornelis Drebbel. I have also read, but not been able to verify or track down the source, that some believe Drebbel may have been a prop-maker. Ben Jonson certainly knew of Drebbel and his works, and probably knew the man, personally. Jonson was one of Francis Bacon’s scribes for a time, and Bacon also knew Drebbel. In another play, Jonson makes reference to Drebbel’s perpetual motion machine at Eltham Palace. So it is interesting to me, of course, that my first suspect for a Voynich author (less so, but still on the list) was Drebbel. I do not feel he would have created it as a notebook any longer, but as a prop? So by the time Shakespeare wrote the Tempest, and by the time the Tempest was performed, first in 1611, then at the 1613 wedding of Princess Elizabeth and Frederick V… the concept of a prop book would certainly be a familiar one. One can speculate that such a book was “any old” book picked up for such a purpose, or that it would be blank, or none used at all… and believe me, these arguments have been presented (sometimes quite heatedly!) to me over the years. I’ve been told that it would be too expensive to create the Voynich for this purpose, for one thing. But I think the cost, if great (and I do not necessarily allow that the cost of the Voynich would have been all that great, in any case, and will have a post on this subject), I would not consider it a problem. There were vast expenditures for props and costumes for the masques and plays of the time, some with dresses costing upwards of a thousand pounds… and the great Inigo Jones designing some of them, and the sets. Francis Bacon himself arranged for his Gray’s Inn to back and support several performances. I would suggest that it would not have been at all unlikely that some effort and cost would have been put into such a prop book. But what of the books of Prospero then, in these first performances of the Tempest? As I pointed out in the post, “The Aura of the Ancient Tome, circa 1611”, it is not known if such a prop book existed for these first Tempest performances. Shakespeare, unlike Marlowe, did not specify their inclusion. 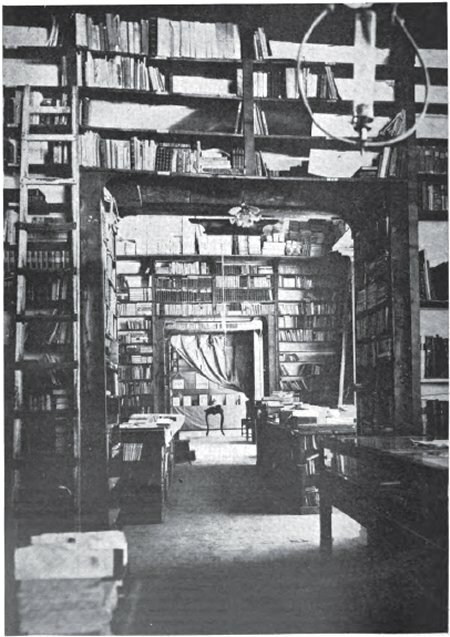 But it is also clear that the books are central to the theme of the play. Many modern performances of the Tempest have included such prop books. So I would also suggest that it would not be unlikely to find such a book in the 1611/13 performances, which some have also suggested included the actor Shakespeare in the semi-autobiographical role of Prospero. Did Shakespeare himself read the lines of Prospero, and hold in his hands a faux book, filled with faux magical symbols, plants, and other fantasy drawings? What would he have done with this book, after the performance? I do not know the earliest performance of the Tempest which included a prop Propero’s book, but there are many examples of modern ones. But of course we do not know if Bacon, Shakespeare, or anyone, had conceived of a play or masque to represent The New Atlantis, so I would not suggest as a first choice that the Voynich is a prop book for that fiction. If not a prop for an unknown performance of New Atlantis, we can look at other motivations. One of these would be a hoax. I don’t favor this idea, because I have not seen any evidence that the New Atlantis mythology was ever intended to fool anyone. I would doubt that such a book would have been created to convince anyone that Bensalem was a real place… although I think the Voynich, presented as such, would have done a fairly convincing job at the time. Of course the Voynich could be a hoax created for some other purpose, or some other time, as has been suggested. But that is not within the scope of my investigation, so I leave it to others to prove or disprove. Next I’ll move to “artifact as a tribute”, as an inspirational art form, to accompany the story. Perhaps as a gift, to Bacon or other (Elizabeth at her wedding?). Such fictional books as tributes are not unheard of in history, although I have not been able to find examples contemporary to my theories. There have been many faux Necromicrons made in deference to H.P. Lovecraft’s mythology, but these come centuries later. I was stunned by the line, “an artifact pulled straight out of a novel”, as this had been exactly how I was envisioning the creation of the Voynich, if inspired by the fictional books in Bacon’s work. This example, of course, 400 years later… but the motivation would be virtually identical. Even without the inspiration of a specific novel, or mythos, people seem to have a liking to the idea of a mysterious book, filled with the promise of lost knowledge, cultures, religions, sciences. Take a walk over to the blank notebook section of your local bookstore today, and you will see countless examples of faux-aged, leather covered and thong secured books, meant to evoke an ancient text or even, grimoire. Some even have alchemal symbols stamped on their covers. Never-mind that they will mostly end up with scrawled shopping lists, notes of business meeting and class schedules… the value is the rich impressions which they exude. The fascination with the mystery of ancient tomes was certainly just as prevalent in “my” time frame of 1610 to 1620, as clearly shown by the many inclusions of them in the literature and plays of the time, and the success of the fictional book, “The Chymical Wedding”. 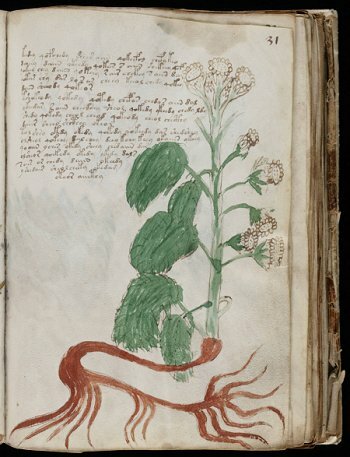 But would anyone have created the Voynich as a stand-alone work of art, a “just because”? I don’t doubt it would have been possible. As for today, there are many interesting examples of books being created as a stand-alone art form. Some more can be found here. So in answer to the question “why?”, which I have so often been asked, I can with confidence answer, “Because of this, this, this, or this… take your pick.” It is clear to me, that for a very long time, the look and feel and content of mysterious books has pervaded art, theatre, and literature. And it is also clear that for various reasons, from the purely practical to the whimsical and imaginative, people will and have put a great deal of effort into creating faux books, as one-off, beautiful works of art. 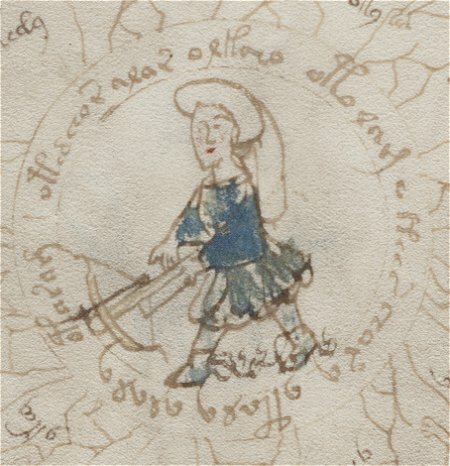 Based on the Voynich’s look and content, combined with the knowledge that in the time frame of my theories, and human nature’s long passion for “the art of the book”… it would have been perfectly reasonable to expect it, or a book just like it, to have been made for one or more of the purposes I have outlined. H. Rich SantaColoma. Star Trek TNG prop book: Try explaining THIS in 400 years! I edited this, May 20, 2011, to add one of the best known cases of an art book. 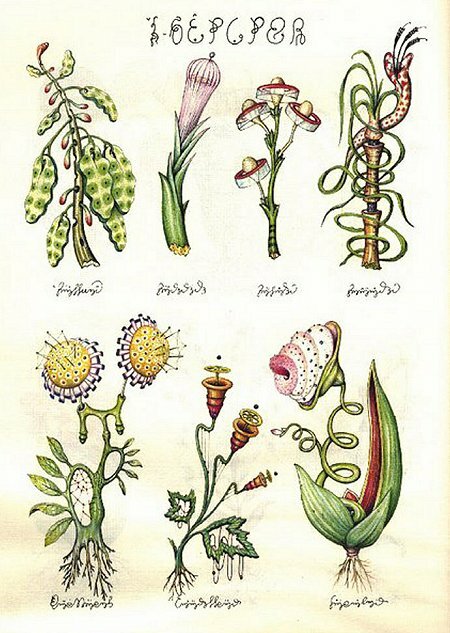 It really demonstrates all the features which I feel may be in the Voynich: Fantasy plants, sciences, astronomy, language and characters, events, and so on. It is the Codex Seraphinianus, written by Luigi Serafini about 1976 to 1978. I have been unable to discover if the book’s creator was aware of the Voynich, and influenced by it, or not. Interestingly it is often mentioned in context of the Voynich, but never in my context: That is, making the point that “people are people”, and like and do certain creative things. One of them is to create artistic books, for the love of it… and these books may contain imagined languages, but still be influenced by past, real and imagined, “stuff” of all kinds. Why would anyone propose that this is only a modern desire of mankind, and not something which may have occurred just as well in 1420, or 1620? 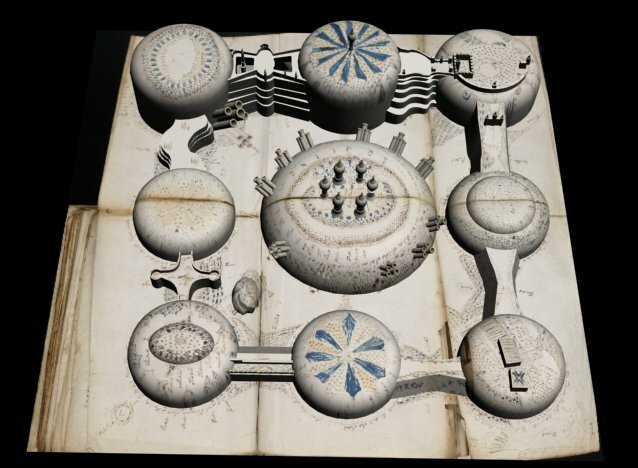 Codex Seraphinianus: Our Modern Voynich Manuscript? Edit, March 30, 2013: I thought it would be fun to add another example I found, from an old episode (season 1, episode 8, “Civilization”), of “Star Trek: Enterprise”. 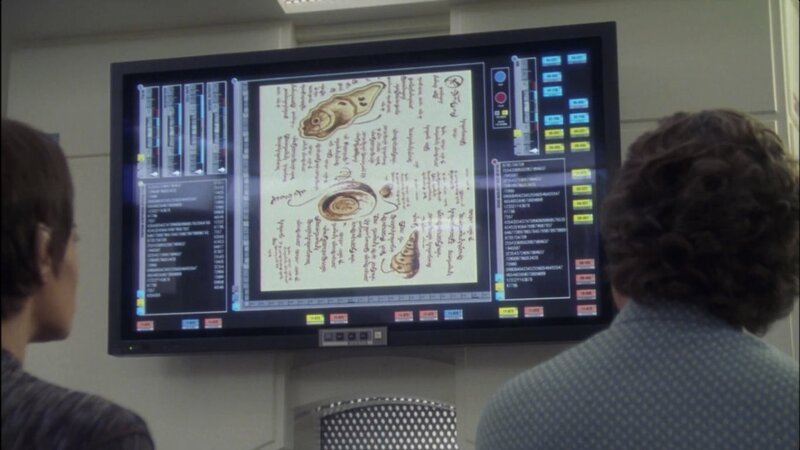 They show three scanned pages of an apothecary’s book, with alien writing and plants. Below I show a screenshot of one of them. Edit, December 2016: I often come across new examples, but don’t post them. But below is one from the online multi-player game, Runescape. Is it a “natural” tendency to add meaningless flourishes, when trying to impress with mystical writing?